Car garages have hit out at authorities for not being properly forewarned about the upcoming changes to car taxation. 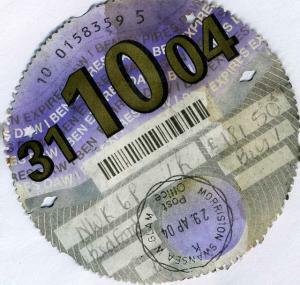 As of 1 October this year, paper tax discs are to be replaced by an electronic version applied for online or at the post office. However, problems arise because someone purchasing a vehicle would need to pay the duty immediately on purchase, before driving it home; at which point the seller’s money for remaining duty will be refunded. Many feel that this change will hamper the sales process and cause confusion between motorist and dealer. It means that dealerships will need to ensure their stock is fully updated on the motor insurance database (MID), something that is also important when it comes to motor trade insurance; it is important that the MID is updated so vehicles owned by the trader are registered as theirs, thus offering them cover while on the premises under their combined motor trade insurance policy, but also so that ones which have been sold do not blemish their record if they are involved in an accident with the new owners. Speaking to the Oldham Chronicle, Optima Cars owner Martin Thomas, said: “We should have heard something by now – it’s an absolute joke. I’m just having to guess what will happen. The confusion was echoed by many of his peers in the area, and indeed across the UK. The DVLA has implored people to visit the website – www.gov.uk/dvla/nomoretaxdisc – for more information.